Inger Waage designed a large selection of souvenir objects for Stavangerflint. 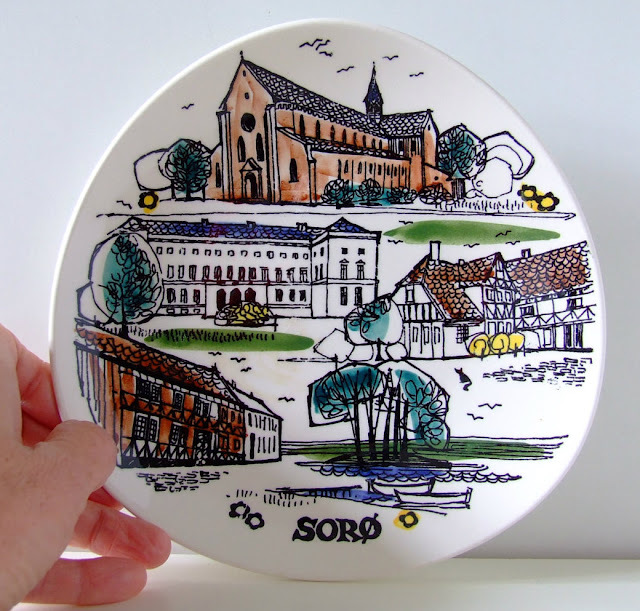 She also did a series of souvenir plates and vases illustrating Danish towns. 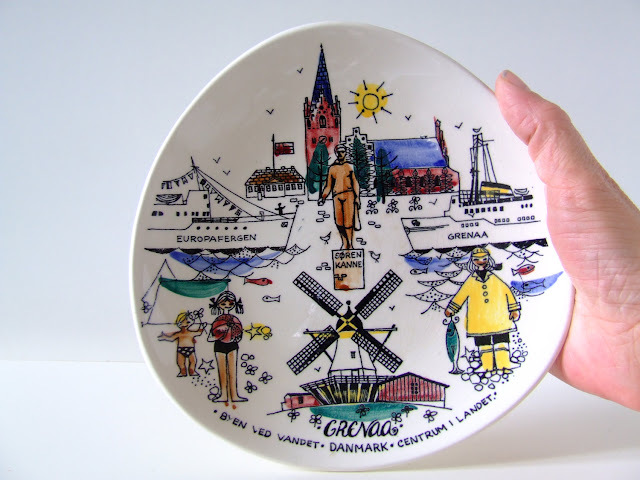 Many of these are not signed by Inger Waage, nor stamped Stavangerflint. But they have all the characteristics of a Inger Waage drawing. 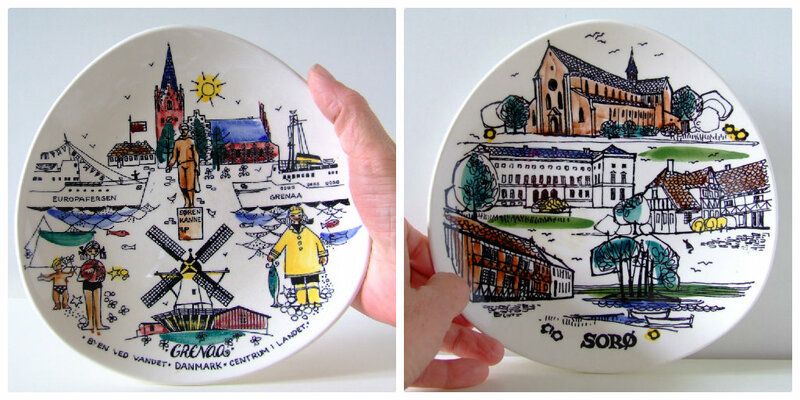 Not being signed or stamped doubt do occur coming acros a souvenir plate. So it happened when I saw the plate below. The drawing is a bit "looser", more organic and expressiv. But the buildings are very similar to the way Inger Waage draws. The trees are different than the way she usually illustrated a tree but then again. I have seen a plate with round trees. The handwriting should be a clear indicator. To me they look like the handwriting of two different people. The one being bold and the other not makes it a bit difficult though. Any clues? You find a good site on Inger Waage HERE. Lots of photos and information with a English summary. Så hyggelig at du liker Stavangerflintplattene, Birgitte! Jeg har selv to fra min egen hjemby av Inger Waage:-) Den fine nettsiden om Stavangerflint som du refererer til har jeg også hatt stor glede av. Jeg mener å ha lest om kunstnerne bak suvenirplattene der? Det er mange av plattene fra norske byer og steder å finne på bruktbutikkene her, men de danske dukker ikke opp så ofte. Håper du hadde en deilig påske! !